Ladies Tardis Dress Costume including a Dress and Mini Hat on Headband – Ideal for a TV & Film theme, Halloween, Sci-fi, or any fancy dress occasion! Transform yourself with this brilliant Ladies Tardis Dress Costume and get set for an adventure no matter what the occasion! This official licensed Ladies Tardis Dress Costume comes complete including a Dress and Mini Hat on Headband. This stretchy blue dress features a printed Tardis design for those budding fans, with every detail included! This fantastic Ladies Tardis Dress Costume also includes a matching blue mini Hat with a tardis design, attached to a Headband to complete this awesome look! Perfect for Halloween, a TV & Film theme, or any fancy dress occasion, you’ll be sure to stand out from the crowds with style! Let the adventure take you away with this fantastic Ladies Tardis Dress Costume! Available in sizes Extra Small, Small, Medium, and Large. 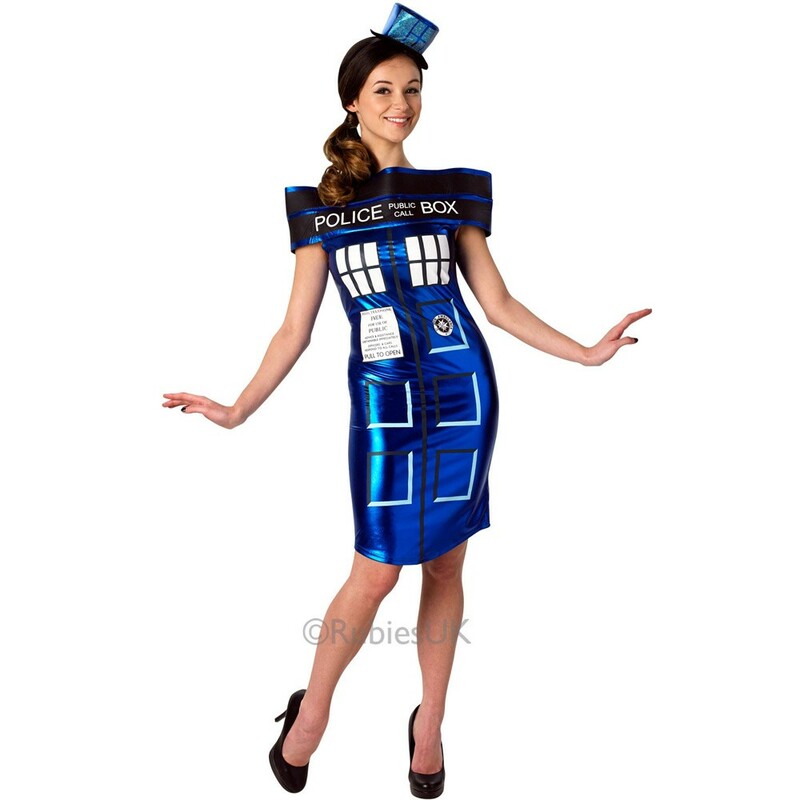 An official licensed Ladies Tardis Dress Costume including a Dress and Mini Hat on Headband.